Superimposed rock fabrics can be marked by the growth of successive mineral assemblages, and thus testify as to the relative displacement of tectonic units throughout different structural levels within active zones of the lithosphere. Relicts of these deformation and growth episodes survive as mosaic-like domains with different and diachronous textures and mineral equilibria. Such apparent complexity of the meso- and micro-structure constitutes the geologic record of axial orogenic zones of the crust and may be decrypted by analysing deformation heterogeneities from map to granular scale. In naturally deformed rocks this heterogeneity may depend on pre-existing structures, on compositional variations, on the onset of localised processes of reaction softening or hardening or on the localised catalysing effects of deformation. The memory of a single rock in a poly-deformed terrane depends on the interplay of factors such as the physical conditions of metamorphism, deformation history, diffusion and fluid infiltration. Usage of the petro-structural memory of crustal and mantle rocks leads to reinterpretation of the metamorphic structure of nappe belts of axial orogenic zones in more realistic and physical terms. 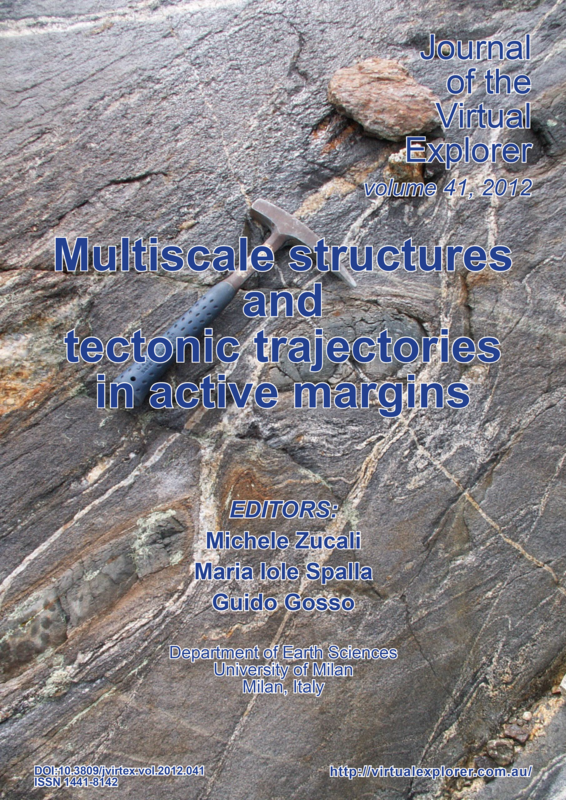 Contributions include field and laboratory analysis on natural tectonic systems at various scales.